Being a big sister (a very loving, worried, and over-protective big sister) who lives in another state, one of my biggest fears in life is getting that call. That call that tells you someone has died, your family is hurt, something is wrong, etc., etc. Wednesday was that day. I went to that high school, I walked those halls, I have known the heroic vice principal that tackled the shooter and a lot of the faculty that work there for years. Filled with shock and confusion, I called my mom who was also franticly trying to figure out the situation as well. Thankfully, my sister had her phone and was able to text us. The students were in lockdown for a period of time and then bussed to the middle school to be picked up. This should have been a sigh of relief, but it wasn't. My heart breaks. 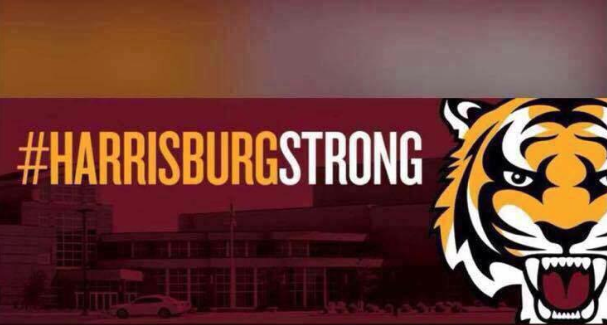 To think, within the past few years there have been multiple school shootings where people did not get as lucky as those students in Harrisburg. It's terrifying to know it could have been worse…a lot worse. It's terrifying to know my baby sister was in that school, in danger, like the rest of the students and faculty. It's terrifying to know the principal was shot and all of those people, put in a situation like that. The worst part? That child (yes, he is only 16, in my eyes, he is still a kid), decided the only way to face his inner demons was to pull a trigger. Every emotion that child was going through pushed him to a level to do the unthinkable…to harm a human being. It saddens me that he thought this was the only way out. It pains me to think he had problems, and could've gotten help, but instead he chose a route that he will never get off of. He laid out the rest of the groundwork for his life with the pull of a trigger. Most of these kids will go to school everyday in fear, thankful they made it out the first time but worried about if it will happen again. There are already so many people arguing over gun control, the death penalty, and more for the kid who did this. But the only thing I can think of, is how glad I am that none of those kids were hurt. And how amazing the faculty is, supporting those kids and fighting for them. 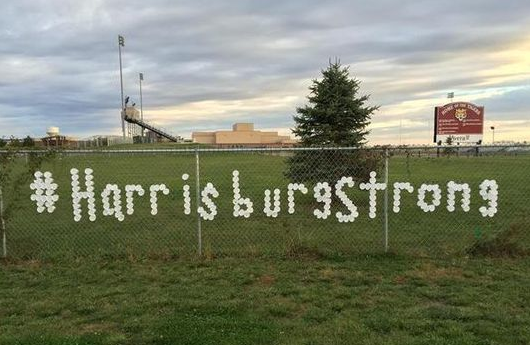 My heart goes out to those family, faculty, and students in Oregon who went through a school shooting the day after Harrisburg. Even after I found out my little sister was okay, I was still scared and terrified that something would happen, I can't imagine actually having something worse happen than what actually did. During times like these, it's amazing how everyone comes together. They join hands, they pray, and they forget any hate, or problems they may have for one another. During times like these, it's a magical thing to see a small community being supported by so many. One can only hope that once the memory of this tragedy slowly fades away, everyone can remain together. That we can support one another, pray for one another, and care for one another. I think to myself, will things ever be the same? Only time will tell. Living in fear won't allow anyone to move forward. I do think however, when tragedy strikes such as this, it's important to forget. Forget the minor things…the bad day you are having, how you ran out of gas, the fight you had with your mom, or how your phone just died. It's important to recognize that these problems are very minute in the grand scheme of things. I'm going into today thanking God that my sister is okay…that all the students and faculty are okay. And that this boy can somehow find help, and most importantly, that he can find faith.